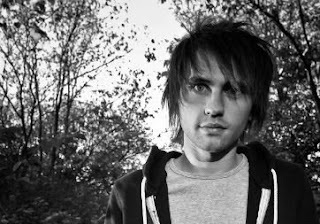 This is an email interview I had with indie artist Matt McCoy. He's a pretty awesome dude, with some amazing music and you should definitely check him out. The interview took place in May 2009. 1. So how did you become a singer/songwriter for the Lord? Was it something you always wanted to do or did it just happen? I started leading worship in my church middle school group when I was 13. I had always loved singing while growing up and was involved in every musical I could. I also used to sing church 'specials' with my mom and dad. However, I didn't learn to play an instrument until later. In middle school I began to show interest in guitar, so my dad showed me a few chords. Him and I would sit for hours by the fire and sing all sorts of worship songs from his songbook. A few months later, one of the worship leaders in our church (Micah) began to invest a lot of time with me and a few other middle school students. He helped us form a youth band and we began leading worship every week for our youth group. He was so patient, yet persistent. One week he asked if I would lead a verse of a song... I was hesitant, but went for it. A few weeks later he asked if I would lead a song on my own. I was scared again, but he walked through it with me. Then a few weeks later, Micah asked if I would lead 2 songs. Next thing I knew, I was leading the entire worship set - with him playing guitar next to me. It is the most powerful picture I have witnessed of 'passing the torch' to the next generation leader. He had a flame inside of him that was contagious - that spread to the entire youth band. To this day we are all still involved in leading worship on a regular basis. I don't know what I would be doing right now if Micah hadn't seen something in me, sacrificed his time, and really believed in me. 2. Who are some of your musical influences? I grew up in the Vineyard church movement, so I have been greatly influenced by Vineyard music and worship leaders - Robbie Reider, Casey Corum, Nigel Briggs, Brian Doerksen, etc. I'm also very influenced by Chris Tomlin, Rich Mullins, and Delirious. I enjoy listening to just about anything - as long as its not that screaming stuff. That scares me. I listen to a lot of Coldplay, U2, Snow Patrol, Death Cab for Cutie, Sigur Ros, Jimmy Eat World and John Mayer. 3. "Song of the Redeemed" is my favorite song on "Raise The Flag Again", I absolutely love it. Can you tell me how that song came to be? There is a youth conference called "Summer of Service", which takes place at the Vineyard church in Cincinnati every year. Students gather from all over the country and do servant evangelism projects all over the city for a week. I led worship at the conference for a couple years, and I wrote this song for the 2007 conference. I wanted to write a song that could be an anthem for the students... a declaration of our hearts saying we belong to Jesus. That He has won our hearts. That simple chorus just came out one night as I worshipped in my bedroom. 4. Which song on the album means the most to you and why? The song "Treasure" is probably my favorite song on that album. When I sing that song, it pulls at something deep inside of me. I wrote it during a time of deep loss in my life. I felt very lost, confused, and lonely. This song became my anthem during that time period - that all I wanted, and needed was Christ. The bridge gets me every time - "I'm chasing You, I'm longing to be with You. No one else will do, I'm longing to be with You". It's really just a cry of my heart that God is enough for me... my souls sufficiency - even when all else fades away. 5. "Everything" is another one of my favorites, can you tell me how that song came to be? I was visiting my family in San Diego, CA for Christmas. One evening, I was sitting on the porch - under the stars and the chorus just came to me out of no where. Then the line "I'm dancing for you now, for you now". That's all I had. A few months later I was in a co-writing session with my best friend, Zak Stegman. I showed him the song and we wrote a verse for it. We also came up with the bridge - "From the north to the south, from east to west... You're everything. Far above all the earth and the universe, You're everything". A few months after that, we were going to play the song for a conference and literally a few hours before the evening worship set started, the second verse was finished. It really just came together over time. Actually, I'm still adding to it. When I sing it live, after the second verse I now sing "For you now, I'm singing for you now." 6 I heard you recently went to Germany. What was that like? I was very privileged to join a team from Willow Creek and worship at the Shift conference in Nuremberg, Germany. There were thousands of students and youth pastors there who were so eager and excited to worship. It was beautiful hearing them sing songs in their language. On saturday night, Delirious joined us for an evening of worship. It was a really great experience. 7. After someone listens to your music, what do you hope they'll get out of it? My hearts desire and passion is to write songs for the church and for personal worship. When I write a song, I want it to be something anyone can sing and relate to. I really hope that people are able to use these songs in their own times of worship - whether they are driving in their car, running on the treadmill or in their prayer closet. I also hope that the local church and worship leaders are able to utilize these songs as anthems for their church body. 8. So what is your writing process for you? Do you get the lyrics first and than the music, or vice versa? I rarely get lyrics first. I really wish I could write lyrics first, and then music - but that doesn't usually happen. Most of the time I will be sitting with my guitar or piano and a melody and chord arrangement will come to me. I'll begin to explore it more and just sing jibberish... eventually lyrics will just come out. I then spend time editing the lyrics and finding the ones that fit best. I have a hard time just deciding to sit down and write a song. Usually songs come out when I am really burdened with something on my heart... it is in those moments that I really have something to say. 9. If you could work with anyone in the music industry who would it be and why? I really respect a lot of people in the christian music world and have so many people I would love to work with someday. I am very influenced by many artists and their music and leadership has a large impact on me. Some of those would be Chris Tomlin, Matt Redman, Louie Giglio, Shane & Shane, Tim Hughes, and Nathan Nockels. 10. What is your favorite scripture? 11. What are your plans for the future? Any plans for a new album? I'm actually in the process of recording a new full length album with all original songs. I'm REALLY excited about this project and can't wait for you to hear it. We are recording about 15 songs up front, and will begin to narrow them down as we decide what will fit best for the project. We are hoping it will be finished by August of this year. Stay tuned to mattmccoymusic.com for updates.